A light zesty scent made with refreshing tangy essential oils of lemon and sweet orange to counteract unpleasant body odours without inhibiting the important functions of the skin. 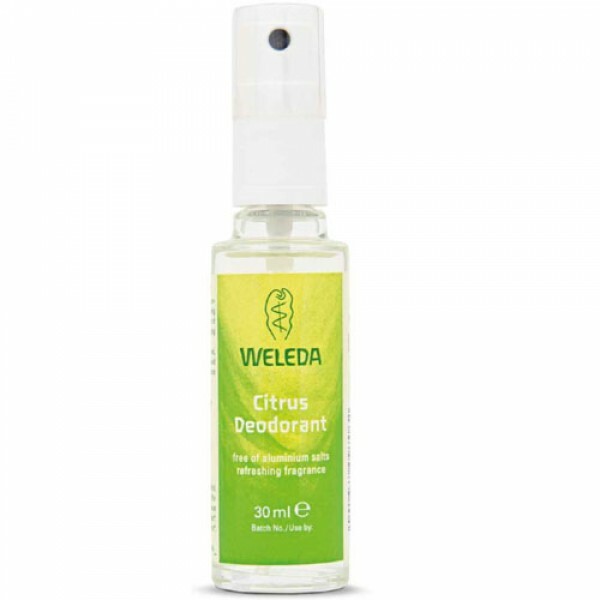 A fresh natural deodorant that eliminates unpleasant body odours. These deodorants inhibit the development of unpleasant body odour without interfering with the skins natural functioning. They are effective deodorants not antiperspirants. (Antiperspirants work by inhibiting perspiration, usually by blocking the pores with aluminium salts). A pump-action spray. Suitable for Vegans. 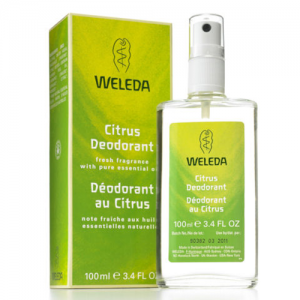 Weleda products are one of the most well-known and highly sought after organic brands in the world. The company was formed in the 1920’s, founded by Ita Wegman (a Dutch medical doctor) and Rudolf Steiner (the renowned philosopher). Weleda believe that products and their ingredients should be in balance with nature, they only use raw materials straight from nature, many grown on their own farms. Weleda grow over 300 plant species in Derbyshire where they have a 15 acre organic herb farm, and are certified by Demeter - the international biodynamic accreditation body. So you can rest assured that nothing they produce will contain chemical pesticides, fertilizers or GM ingredients. They use natural preservation, avoiding the use of parabens. 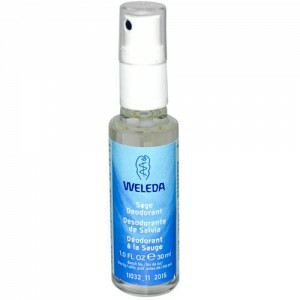 Weleda products also do not contain SLS, Synthetic Fragrance or colours. Weleda products are NOT tested on animals, are Vegetarian and many are Vegan. Alcohol, Water (Aqua), Fragrance (Parfum)*, Citrus Medica Limonum (Lemon) Peel Oil, Limonene*, Linalool*, Geraniol*, Citral*, Farnesol*. *from natural essential oils (i.e. naturally present in the essential oil). Apply after showering or bathing as often as necessary. For most people one application lasts all day. The fine spray dries within seconds leaving no stickiness and the aroma quickly disperses. Do not spray in the direction of the eyes or mucous membranes.